Our historic facilities, equipped with state-of-the-art multimedia labs and technology, represent the unique blend of innovation and tradition our school embodies. 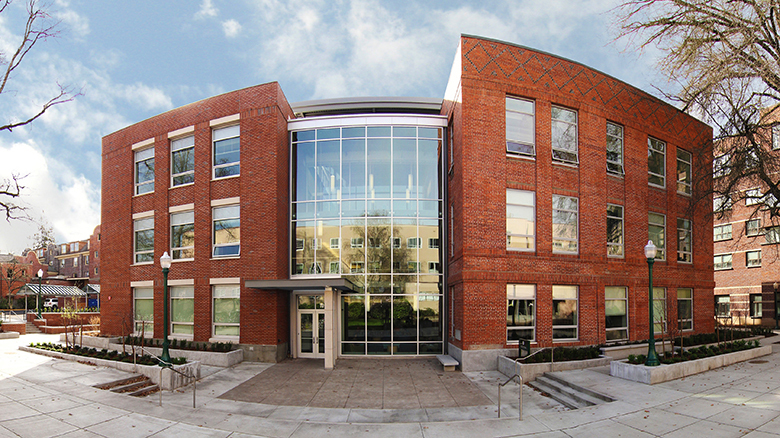 For more than a century, Allen Hall has sat at the heart of the UO campus in Eugene. Named for renowned journalist Eric W. Allen, who founded the SOJC in 1916, today it’s home to state-of-the-art studios and collaboration spaces where students create compelling content using the latest media technologies. Shooting a video? Recording a voiceover? Conducting an interview? Doing a photo shoot? Our broadcasting/photography studio and audio recording booth give you a place to produce professional-quality work. 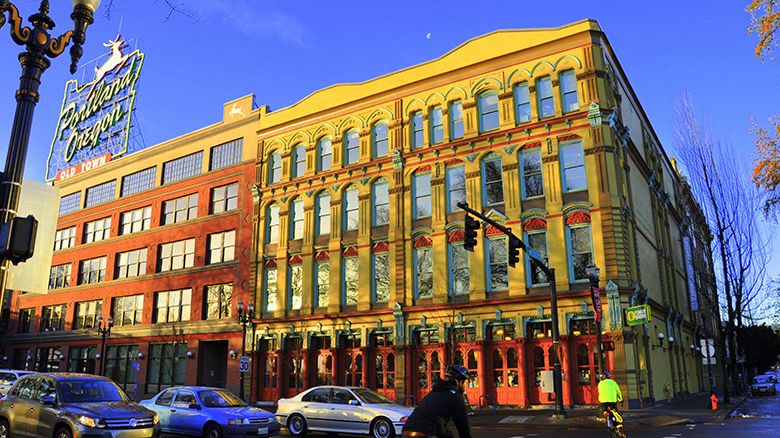 Tucked into the center of Oregon’s biggest media market, SOJC Portland on the historic White Stag Block is loaded with charm—not to mention state-of-the-art tech. Immerse yourself in Portland’s thriving downtown, and tell the stories of a city renowned for its uniqueness.